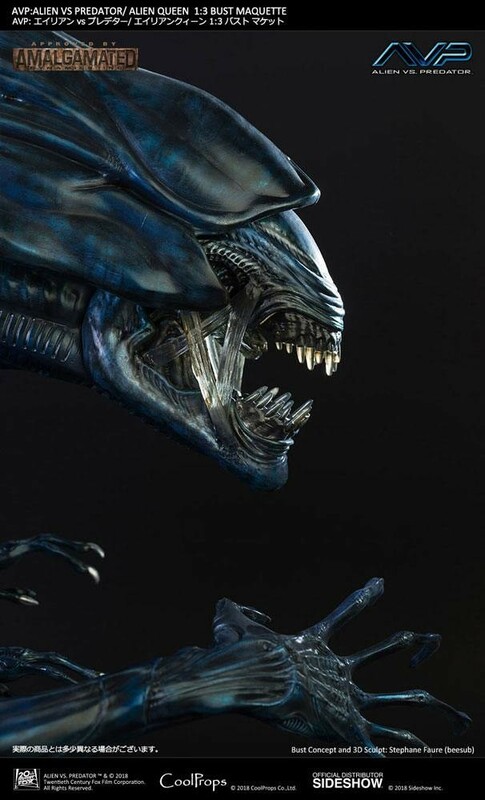 The Queen at the abyss of ruins. 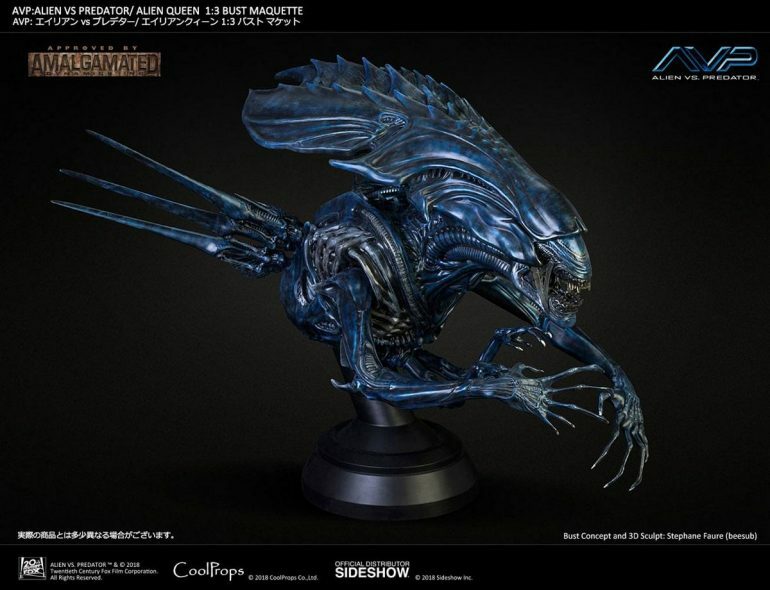 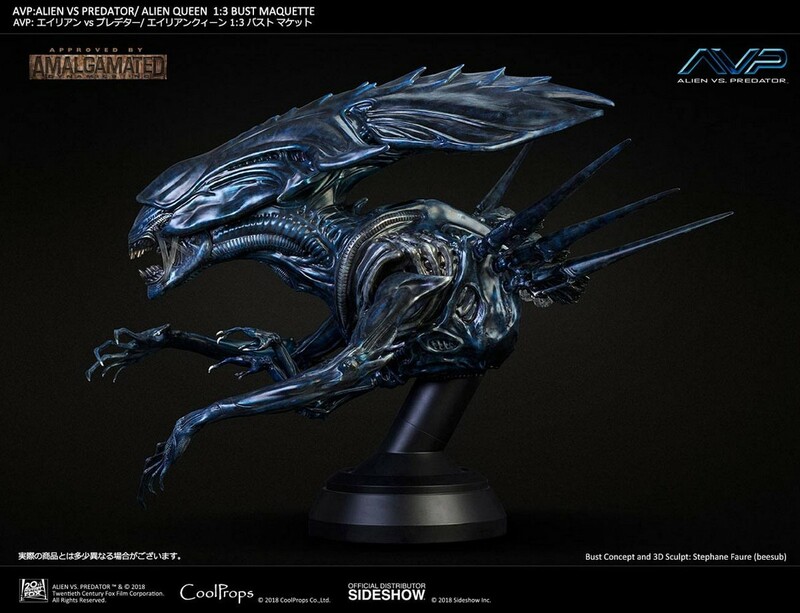 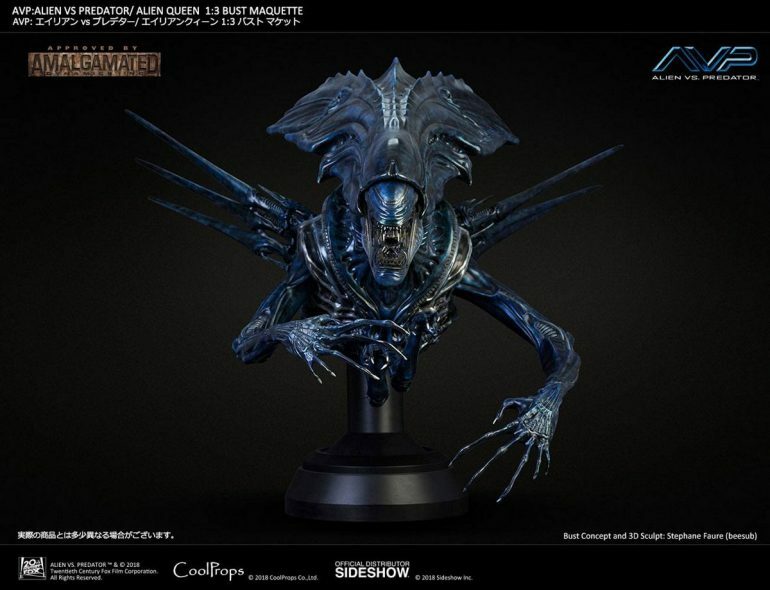 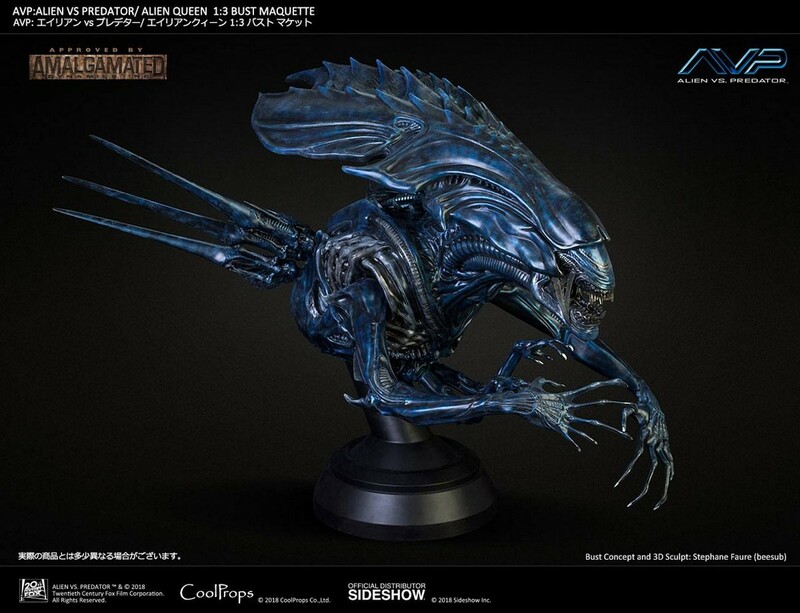 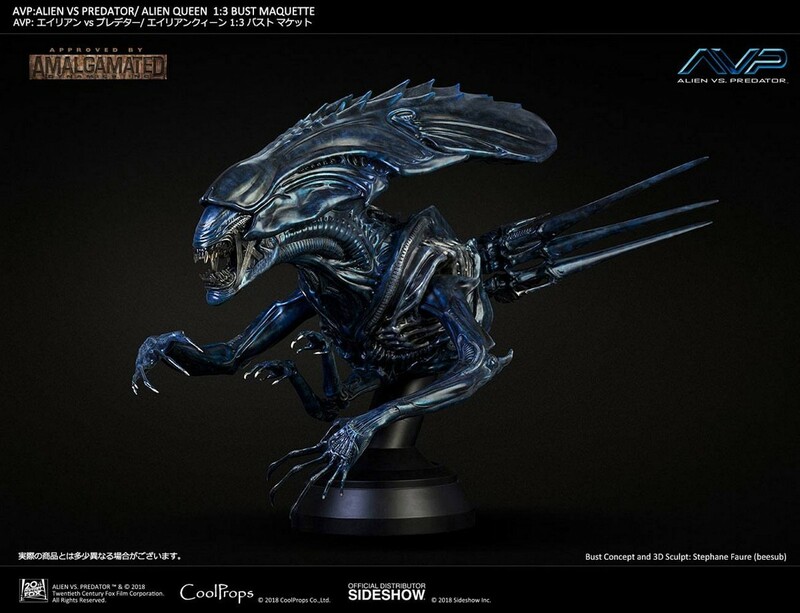 Sideshow and CoolProps are proud to present the Alien Queen 1:3 Bust Maquette! 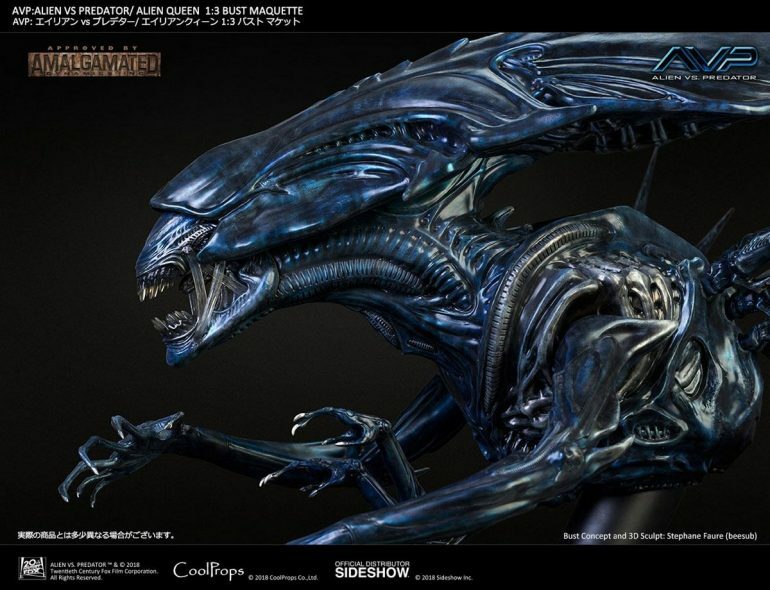 Alien Queen appeared in the 2004 movie ALIEN VS PREDATOR. 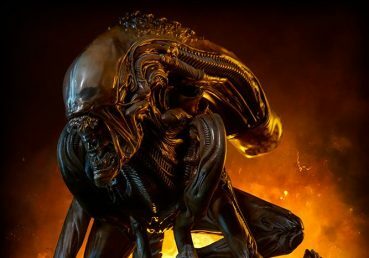 Alien Queen was captured at the abyss of the ruins of Antarctica. 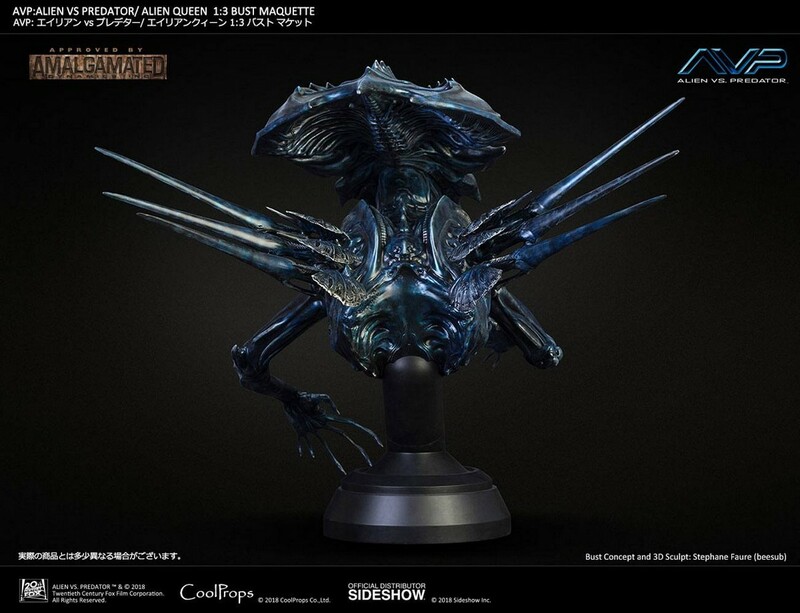 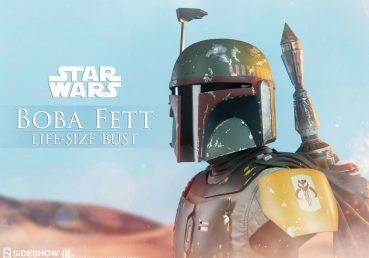 Previous ADI studio artist, AKIHITO was the one who created the 1:4 Maquette for the prop, and the studio later on created 1:3 and 1:1 props based on this 1:4 Maquette. 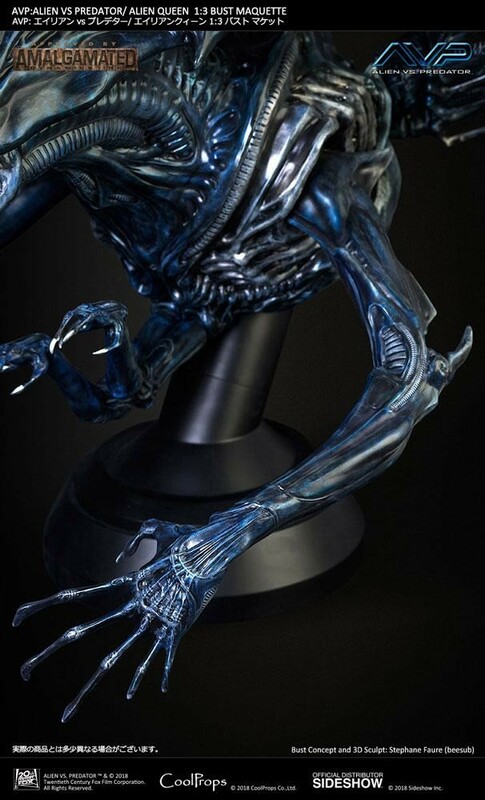 They also refined the head, body and the detailed design from the Alien Queen which appeared in the previous movie. 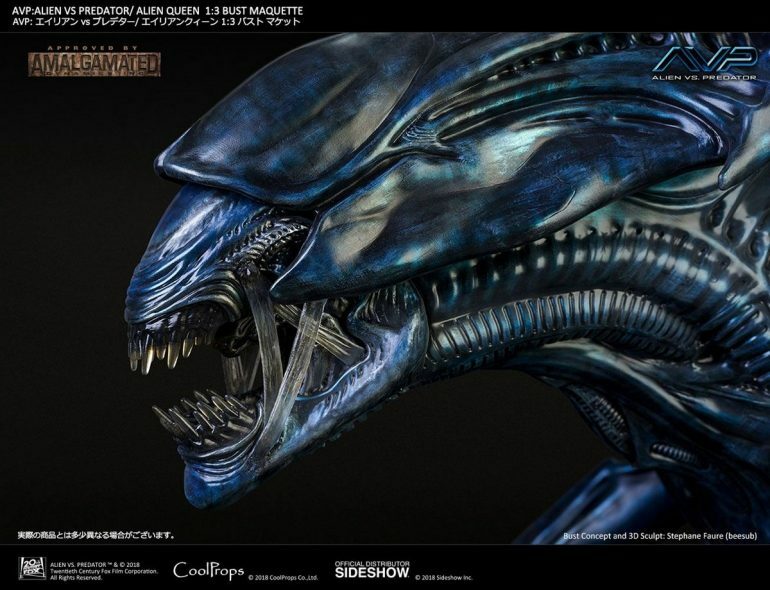 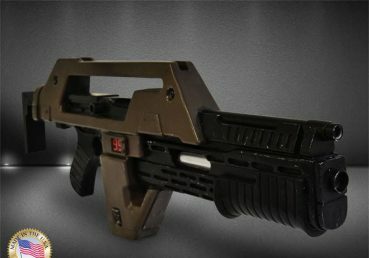 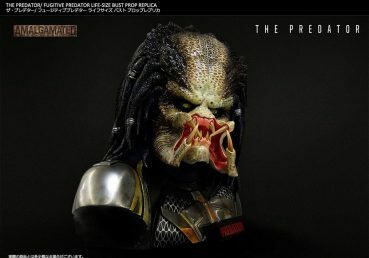 The movie-accurate Alien Queen by CoolProps was modelled based on the screen used 1:3 maquette. 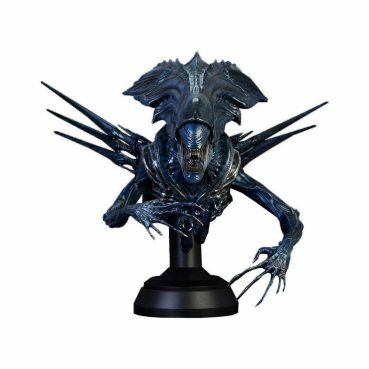 Don’t miss the chance to add the raging Alien Queen to your collection.